PageFly - What types of page can I create? 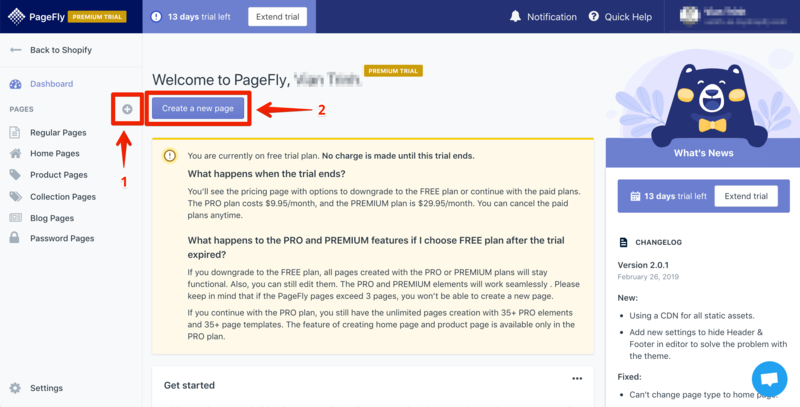 In this article, you will learn about the page types that are supported by PageFly page builder. Check the table below to see what type of page you can create with PageFly. The check (✔) indicates that the page type can be created in that plan. Regular page A standalone page, landing page or sub-page for your store and campaign. Home page A brand-new efficient home page that visitors first see when they go to your store. Product page An embedded page that adds more content to your existing product page below the Shopify content. Collection page An embedded page that adds more content to your existing collection page below the Shopify content. Password page A customized page to notify or entertain visitors when the front-end password is enabled. Blog post A blog post to talk about your brand or product.